Alltran provides customer contact and receivables management services for Healthcare, Financial, and Education institutions. Improve productivity and billing utilization, while also freeing up Supervisor time for development activities, and evolving Supervisor coaching competency. Alltran implemented AmplifAI - an employee development and performance management suite which included real-time data visualizations, AI-based coaching workflows and alerts, follow-ups and recognition. Alltran reduced overall Idle time by 7.24 % and overall Non-Productive AUX time by 2.6%, yielding an increase in Productivity and Billable Utilization across its customer service contact centers of 9.92%. "AmplifAI – a single platform with real-time performance dashboards, AI automation, tracking of performance management and social recognition functions." Alltran, a conglomerate of what was formerly the United Recovery Systems family of companies, provides customer contact and receivables management services for Healthcare, Financial, and Education institutions. As a Contact Center Business Process Outsourcer (BPO), Alltran is focused on providing services that decrease cost and increase efficiency, while delivering exemplary patient and customer care. Alltran is headquartered in Texas and operates out of six U.S. locations. 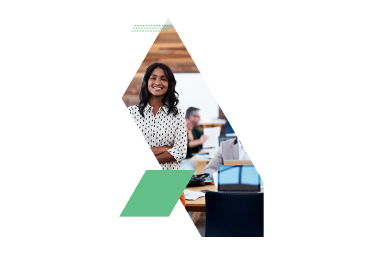 Alltran understands that delivering exemplary service requires humans, technology, financial, and process resources to all work harmoniously together, but that that these components can be challenging and costly to implement. As a Contact Center BPO, Alltran wanted to improve productivity and billing utilization, while also freeing up Supervisor time for development activities, and evolving Supervisor coaching competency. Alltran looked to AmplifAI to help them take their performance, and performance management, to the next level – where technology augments humans, empowering engagement and driving results. The Operations View allowed Alltran executives to monitor and identify outliers for key metrics such as Handle Time, Quality Scores, AUX use and Utilization – per each of their Customer programs, locations, Supervisors, and Agents. Leaders were also able to validate that Agents were receiving appropriate coaching, and focus on developing frontline Supervisors’ coaching skills via the AmplifAI coaching dashboard and coaching effectiveness rankings. The Supervisor View provided real-time performance rankings for their Agents, along with coaching recommendations personalized for each Agent and specific details showing the metrics and behaviors that should be coached. AmplifAI validated whether agents were improving after each coaching session and automatically generated follow-up tasks for the Supervisor to reinforce previous coaching sessions. The Agent User Interface provided Agents a simple view of their performance, stack-ranking, existing coaching commitments, and coaching history. Agents were able to listen to past coaching sessions, as well as continually self-develop via access to their coaching toolbox where they were able to review any calls and documents used during prior training/coaching sessions. AmplifAI enabled Alltran to accelerate improvement by implementing a platform that intuitively supports replicating top performer behaviors with an AI-based process and machine learning technology focused on ensuring you’re coaching the right person, on the right behaviors, at the right time, with the most relevant and impactful content. Results data from the three months following their Q1 implementation, showed month-over-month reductions in non-productive Aux time and Idle Time, delivering net increases in Productivity and Billable Utilization.